Addiction Outreach Clinic (AOC) has a team of specialized suboxone doctors that provide Suboxone® (buprenorphine/naloxone) medication to prevent cravings and withdrawal symptoms combined with once-a-month behavioral counseling. This outpatient opioid addiction treatment program helps our patients get their lives back. 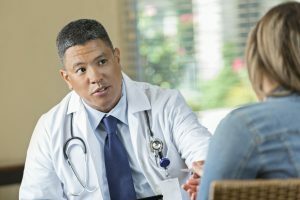 AOC's team of doctors includes board-certified addictionologists and counselors that work together to develop an effective medication-assisted treatment plan designed to meet the individualized needs of our patients. AOC provides a professional, caring and safe environment to ensure the best possible outcome for our patients. Since 2007, AOC has guided thousands of patients in Ohio and Pennsylvania along the path of opioid addiction recovery. AOC requires only one monthly behavioral counseling session to enable patients to focus on their recovery efforts while returning to their lives, work and families faster than traditional addiction treatment methods. See all of our eight clinic locations.